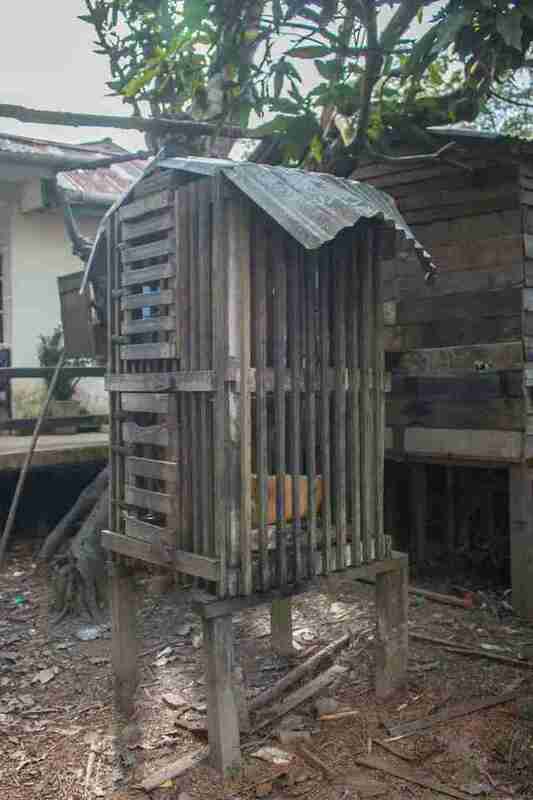 The wooden cage was the size of a cupboard, and a baby orangutan had lived inside it for more than a year. 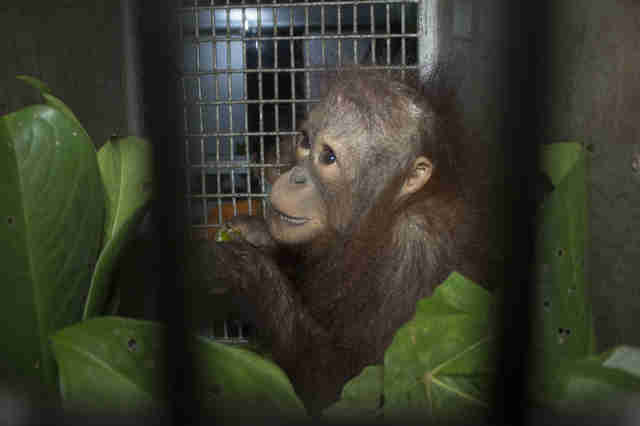 Last month, a team from International Animal Rescue (IAR) went to a village in the Sungai Raya District of Borneo, Indonesia, with local authorities and found a 15-month-old male orangutan named Muaro locked inside a wooden cage on a man’s property. 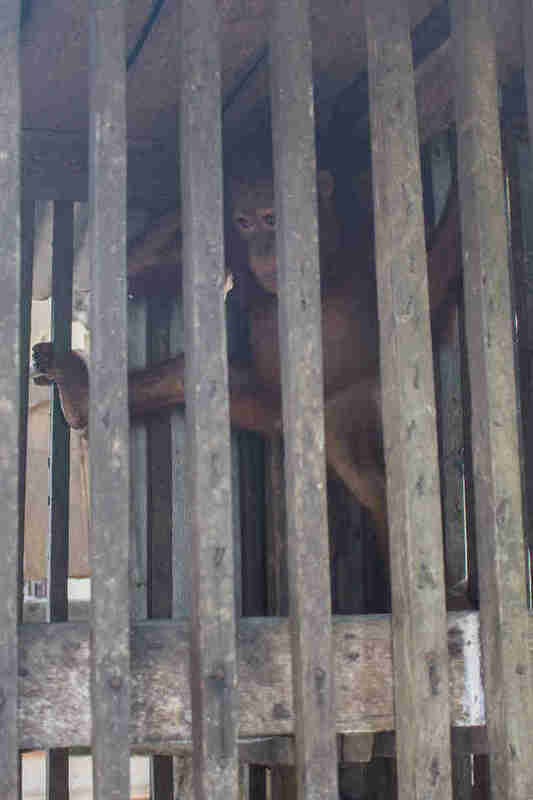 The cage was only a few feet wide and a few feet tall, and the rescue team wasn’t sure if the man even let the baby orangutan out. The man claimed to have found Muaro in an area of land being cleared for a new palm oil plantation. He said he felt sorry for Muaro and decided to bring him home. 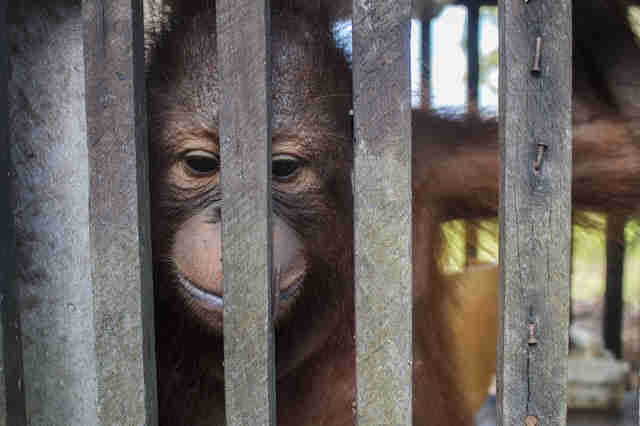 He told the rescuers that he fed Muaro a diet of condensed milk and human food. 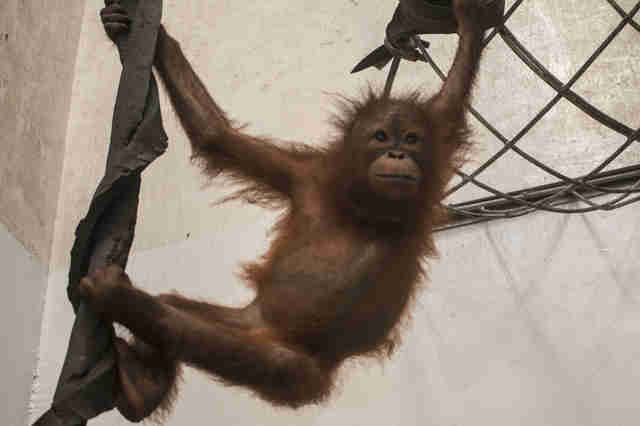 While there might be truth to the man’s story, the rescue team knew that one part was being left out — people had likely killed Muaro’s mother if the baby orangutan was found alone in the forest. Not only that, but Muaro would have witnessed his mom’s murder, which would have traumatized him. Like humans, baby orangutans are heavily dependent on their mothers, and Muaro should have stayed with her until he was 7 or 8 years old. “He would be living high up in the tree canopy, clinging to her as she moved through the trees and learning from her how to climb, how to forage for food and how to build a nest each night to sleep in,” Key said. 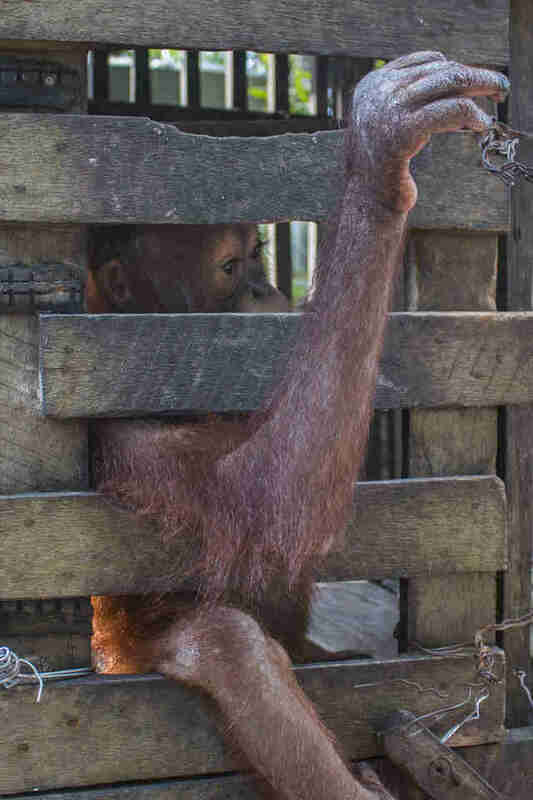 After being freed from his wooden prison, Muaro clung to one of the female rescuers. 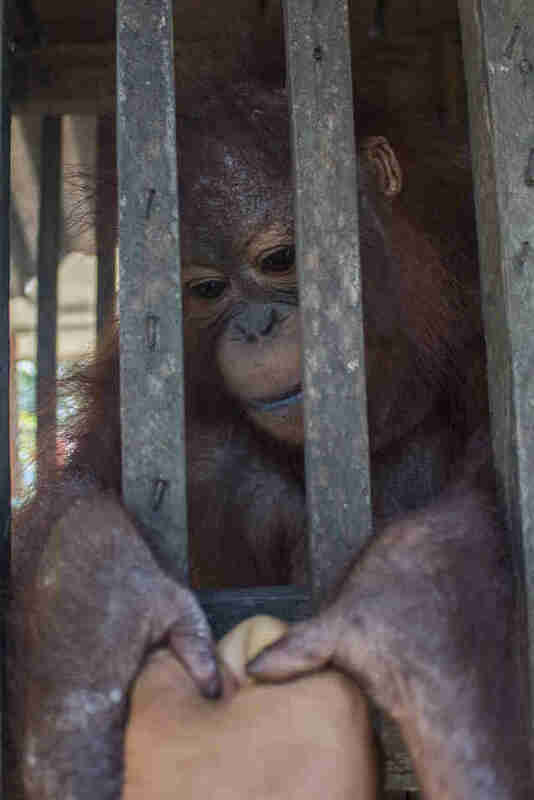 Muaro initially seemed to be in good health, but upon closer inspection, the team discovered that he had a respiratory issue and skin problem. Before starting the journey to IAR’s Orangutan Conservation Centre in Ketapang, West Borneo, the team made sure to give Muaro food and a bottle of fluids. For the next several weeks, Muaro will stay in quarantine so the vet team can evaluate his mental and physical condition. 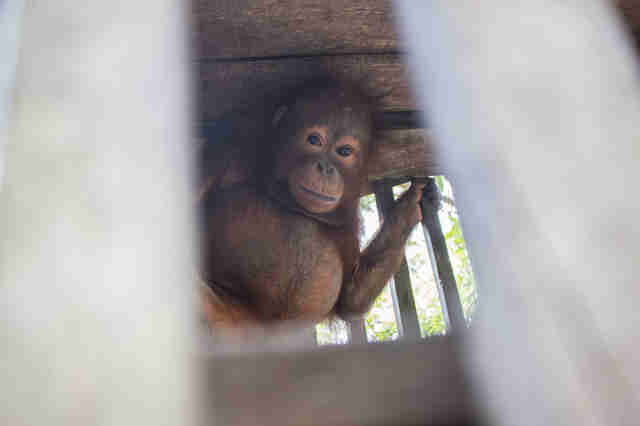 But once he has a clean bill of health, Muaro will be able to meet the other baby orangutans, and he’ll even go to school to relearn how to be a wild orangutan. While Muaro was lucky to be saved, IAR is fighting a constant battle to save the Bornean orangutan, which is a critically endangered species. 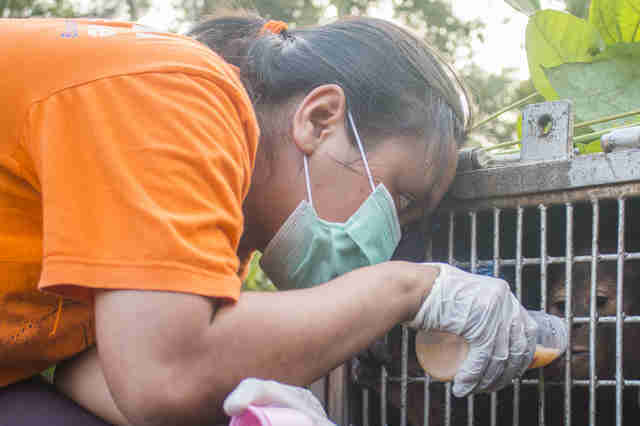 There are currently over 100 orangutans at the Orangutan Conservation Centre, and it’s becoming increasingly difficult for the team to find safe places in the forest to release rehabilitated orangutans back into the wild. To help Muaro get back to the forest, and to help other orangutans like him, you can make a donation to IAR.